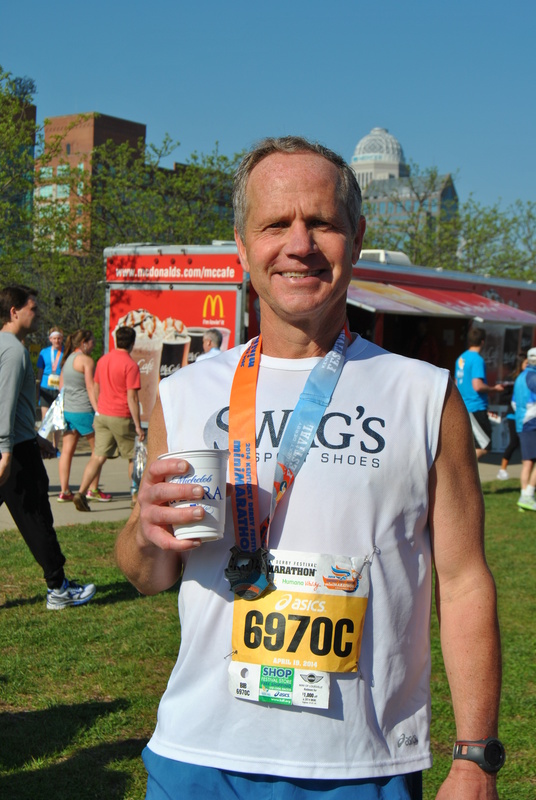 This year we were so excited to be an official charity partner of the Kentucky Derby Festival Marathon/miniMarathon. We put together a team of amazing individuals, Team RMHCK, and gave them a goal of raising $7,500 for our House. To be honest I was worried about us reaching our goal in the first year. KDF has warned us about setting lofty goals the first year and I really wanted our team to feel like they had accomplished something. It was slow to start but by the week before the race we were passing 93%!! I waited until we got to 98% and with four days still to go I knew we were going to meet our goal and made the decision to raise it to $10,000. I never believed we would reach it but I wanted to leave room so that we had something to strive for in the final days. Then the craziest thing happened…our amazing team raised over $10,600! I woke up on race day much more excited than I usually would for a 5:30 am alarm clock. This would be my 10th half-marathon but Saturday, April 19th was now so much more than just another race. I arrived at Waterfront Park with time to drop-off items for our Charity Village tent and then to run to the starting line corrals while my very awesome co-workers put together the tent and set-up our goodies. 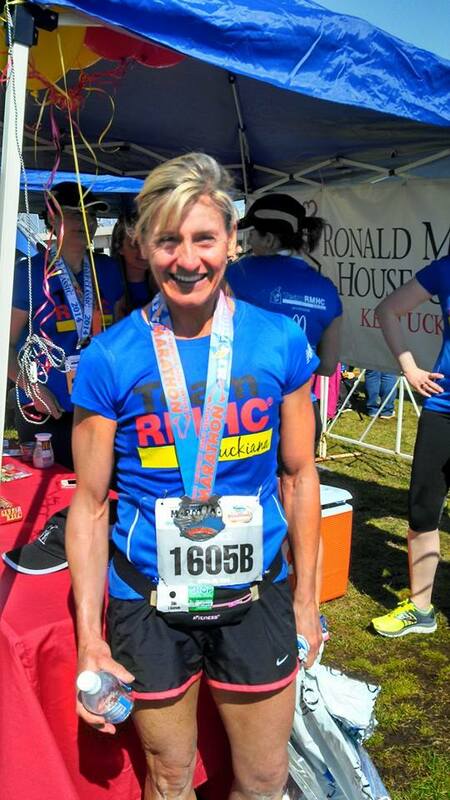 Shelley, one of our top fundraisers, finished her marathon first in her age division and was 12th overall for women!! The day was absolutely perfect. You could not have asked for better weather, and everything just went well. Multiple runners on our team set new personal records, some ran their first half-marathon, and one even won her age division for the full marathon! Tony, our top fundraiser for Team RMHCK, raising over $2,500! 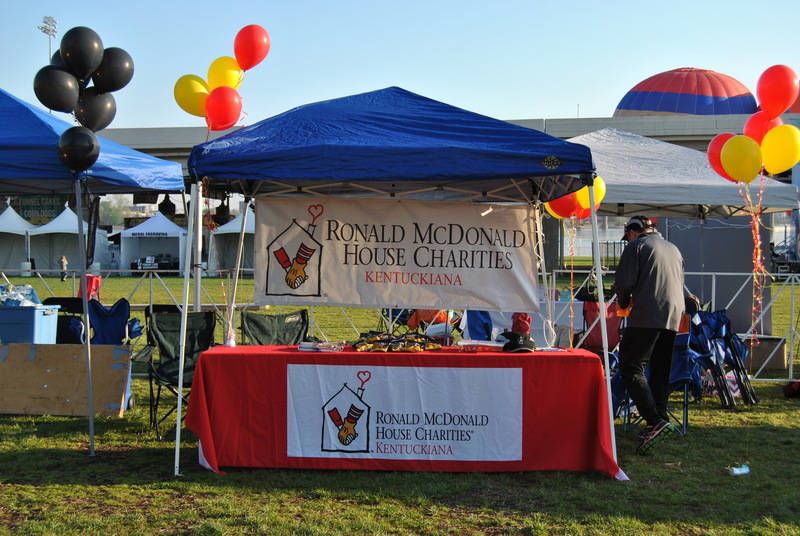 Thanks to our awesome sponsors, including McDonald’s Kentuckiana, we were able to offer running hats, tech shirts, and pull-overs as incentives as well as having special snacks for post-race like chocolate milk and apple slices. If you are interested in joining Team RMHCK in our next event please sign up for our e-newsletter or like us on facebook! To find out more about Becca, our Administrative Assistant, and what she does to help RMHCK, see her staff bio here.